United States v Noble, is an important new case, decided by the 6th Circuit Court of Appeals that applies to Michigan, relating to what a police officer can and cannot do regarding frisking a suspect during a traffic stop. In Nobel, local police were asked by a Drug Enforcement Administration task force to stop a vehicle for a traffic violation. Local police were only told that the vehicle was suspected of being linked to a DEA investigation. The stop was made and th e police officer noticed that Nobel (the passenger) was nervous. The driver gave consent to search the car and the police officer removed the driver and Ms. Nobel from the vehicle and searched them for weapons. The officer founds drugs and a handgun on Nobel. The Court stated that most traffic stops are a minor inconvenience for motorists, but dangerous to police officers. Police officers may order occupants out of the car without violating the Fourth Amendment. However, they cannot frisk a suspect unless they have reasonable suspicion to believe a particular person is armed and dangerous. This means there must be specific and articulable facts upon which the belief is based. In Nobel, the police officer testified that he felt the frisk was necessary for officer safety because of Nobel’s being nervous, and fact that the vehicle was suspected in a DEA investigation and the officer’s training that drug offenders are often armed. The Court disagreed. The fact that the defendant was nervous was inconsequential. The Court stated an obvious truth that is frequently denied by judges who care little about civil rights: that many people are nervous when dealing with police and there is nothing suspicious about that fact alone. The court also noted that there was no evidence that there was a lack of cooperation or an escalation of the defendant’s nervousness. Additionally, the Court said that just being in the car believed to be connected to drug trafficking does not automatically give the police the right to frisk that person. There must be a specific and articulable reason to believe a particular person is armed and dangerous before a frisk is allowable. The Court reminded police officers that there is no general officer safety exception to the search warrant requirement. 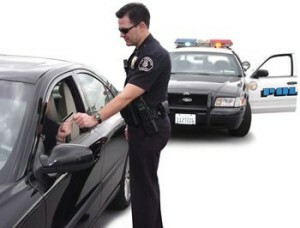 A traffic stop can occur based on reasonable suspicion of criminal activity. Once stopped, an officer needs additional reasonable suspicion that the particular person is armed and dangerous before a frisk is allowable. The attorneys at LEWIS & DICKSTEIN, P.L.L.C. are recognized as vastly experienced in all areas of criminal defense. We represent people charged with crimes all over the State of Michigan in state and federal courts. 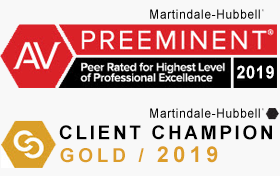 Our attorneys are aggressive and zealously represent our client’s interest against some of the most difficult prosecutors in the State of Michigan. When your freedom is at risk it is important that you have attorneys who are willing to fearlessly fight to protect your rights – that would be the attorneys at LEWIS & DICKSTEIN, P.L.L.C. 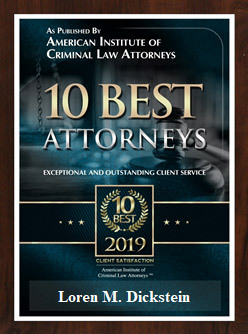 Please contact us with any questions at (248) 263-6800 or complete a Request for Assistance Form and one of our criminal defense lawyers will promptly contact you.